The Summer sand eels have green/blue backs with pure silver underbodies, and are much larger than the early season bootlace sand eels. 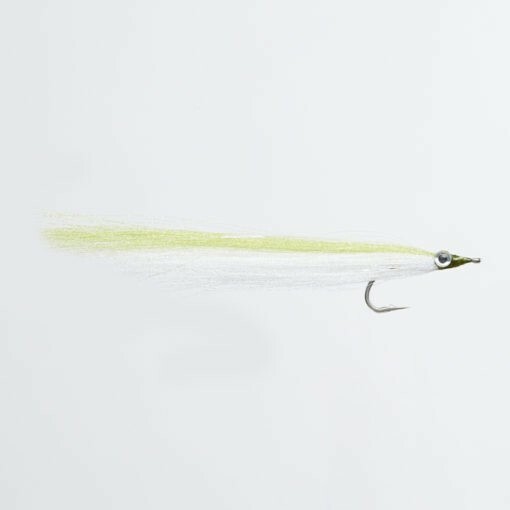 The Natural/Olive is the go to fly in any conditions and is an absolute banker for bass. The need for life in the fly is supremely illustrated by the fluoro fibre, whilst the amazing effect of light on the UV enhancer has to be seen to be believed.